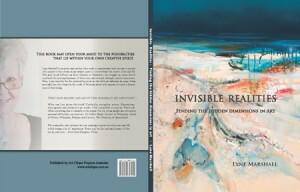 Here I am again thinking of writing a new book and I am just recovering from publishing Invisible Realities: The Hidden Dimensions in Art back in January. Seeing as this book below took me three years to write after my first one, I am suprizing even myself. This new, yet unwritten book, will be overtly Christian. Why would I want to do that I hear you ask? It isnt considered to be kosher to mix art with Christianity. 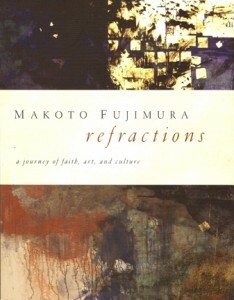 I found amazing inspiration from New York based artist Makoto Fujimura. I have his book Refractions which is an interesting, from the heart, read. He makes no bones about his Christian faith, and it hasnt hindered his amazing success. There are lots of utube videos on him. His paintings are very spiritual and I just love them. It is his use of materials that make his work so amazing. I would have liked the images of his work to have been more prominent in his book, but so pleased to have it. I found it available on Amazon. 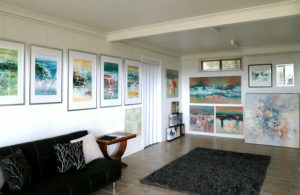 My books by the way can be found on the ArtClique link on this blog page. Seeking out amazing landscapes is one of my inspirational joys. A day out with the Rock Doctor, John Jackson, gave me an insight into our geological history and a look at some of the amazing places that are so close to home. 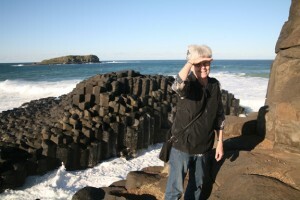 I didnt need to go to Ireland, although that is on my wish list, only to the north coast beaches of New South Wales, to see these basalt columns that occurred long ago from ancient lava flows. There is something about being in the midst of forces of nature, that no artist could possibly replicate, that challenges our humanity and leaves such lasting impressions.